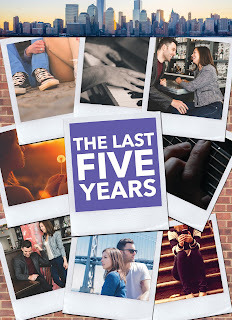 The Last Five Years runs until June 5. Get your tickets here! 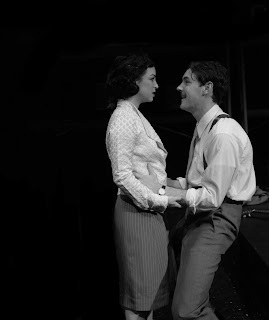 In The Last Five Years, Cathy regales us with horrid stories of her time at a theater in the Midwest with the song “Summer in Ohio.” She spends the warm months of the year at what is known in the business as summer stock theater. 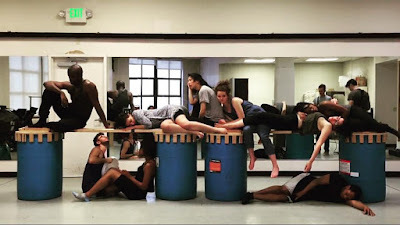 The practice of staging summer theater in rural areas, sometimes referred to as the “straw-hat circuit,” stems back to the beginning of the nineteenth century, when urbanites would escape the stifling heat of the city by traveling to the countryside. Some theater companies fulfilled the city dwellers’ need for entertainment by setting up stages in barns and tents. The tradition of summer stock theater is still going strong, although most summer theaters today have actual performance spaces. Michael Berresse came to A.C.T. 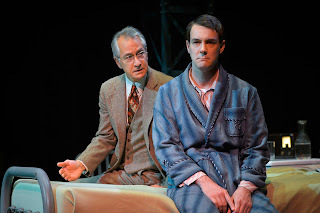 in 2012 while performing in the national tour of The Normal Heart, and he is delighted to return to the Bay Area—this time as an accomplished director. 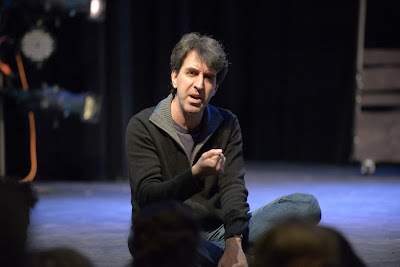 “Looking back at my directorial career,” says Berresse, “I see that a number of shows I’ve worked on have had complicated or nonlinear structures. There’s something about the puzzle of them and the way my own mind works that draws me to that kind of material.” With its unique structure in which one character’s story is told from ending to beginning, and the other’s from beginning to end, The Last Five Years has been another puzzle for the director to solve. We sat down with Berresse to talk about the challenges and the joys of directing. What’s it like being both an actor and a director? Just after Clegg got out of rehearsal, we spoke to him about his work on Chester Bailey and the challenging questions the play poses. Rehearsals have been going well. We had a number of readings before we started, and David [Strathairn] and I had both done a lot of prep work, so we hit the ground running. We’ve got the basic shape of the play down. Now we’re experimenting and exploring. 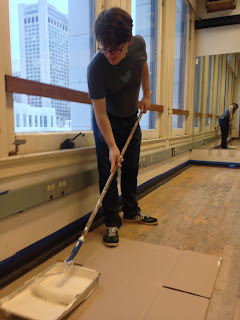 Last Friday I met my new best friends, a group of Twitter employees who signed up to volunteer at A.C.T. Their visit was part of “Friday for Good,” a Twitter-wide effort to give back to the community. According to one Tweep (their word, not mine), nearly 50 percent of Twitter employees participate, with volunteers at about a hundred different community sites worldwide. This fine group of Tweeps had their own reasons for volunteering at A.C.T. Some like the arts, some have enjoyed A.C.T. shows, and some were hoping that volunteering at a theater would be less strenuous than raking leaves. We spent a few hours painting the rehearsal studios above A.C.T.’s administrative offices at 30 Grant Avenue and sewing at The Costume Shop.